There is nothing new under the sun. All over the world people are celebrating the same holidays, in minor variations and in different names but in the end of the day, the sum of festivities and the corresponding dates or times of the year is the same. An interesting point is that the old Jewish calendar, up until the third century was on the same date, middle of April, which is the month of Nissan (they do make cool cars but we still should sue them for the name) as this is the official beginning of the 'fertile season' when we, like the seeds in the ground start again. Corresponding to these agriculture traditions and keeping in synch with the cycles of nature, this period is also a 'water' celebration, bringing in wet relief from the heat and dry periods of the year. In places like Europe it is a bit less apparent but in Asia and the middle east, the ending of the dry months is one of the most important moments in the year. 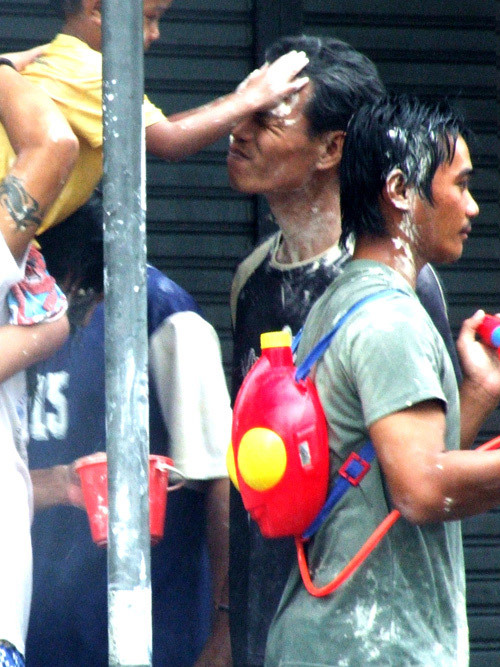 In Thailand they definitely do take their water celebration seriously, and with 34 Celsius in the shade you usually don’t object too much if someone throws some water at you. At least in the first day. but it is only the first day. 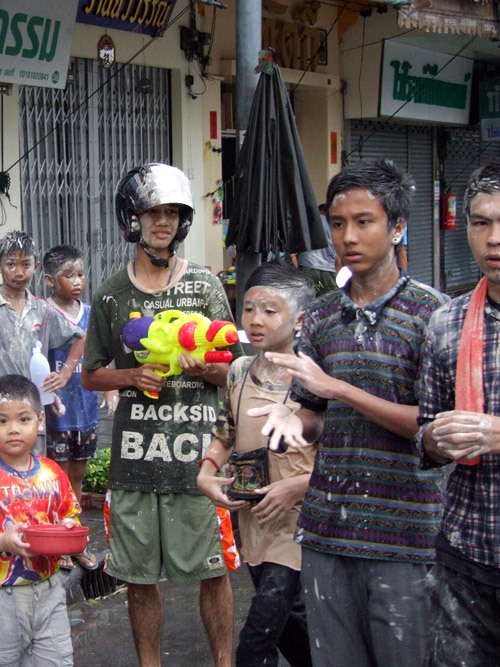 As logic predicts, New year day is not the only hot day in that month and the water activities tend to start long before actual Songkran, New yea r day, which brings the whole country into a long regression to childhood with supermarkets all over Thailand competing on the collection of water-arms and accessories. In the beginning , back when it was harder to find things to complain about, the water ritual was a blessed sharing of the water that ran over the Buddha's hand, and it was a personal and honest glorification of an idea. These days, with the arms industry having far too much success around the world, the new and improved weapons of watery content are flabbergastingly sophisticated, high range, large volume weapons of mass wetness. 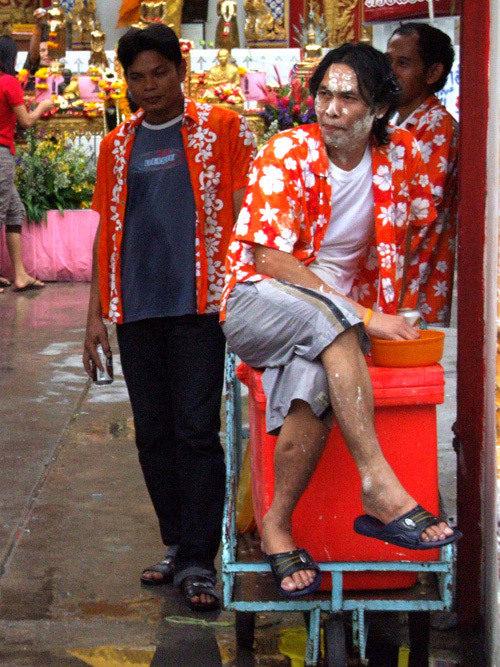 In the more relaxed parts of Thailand you will be able to walk down the street in that hotter than hot day and as you pass locals they will gently put some water on your shoulder and spread some temple talcum powder on your cheek for good luck. 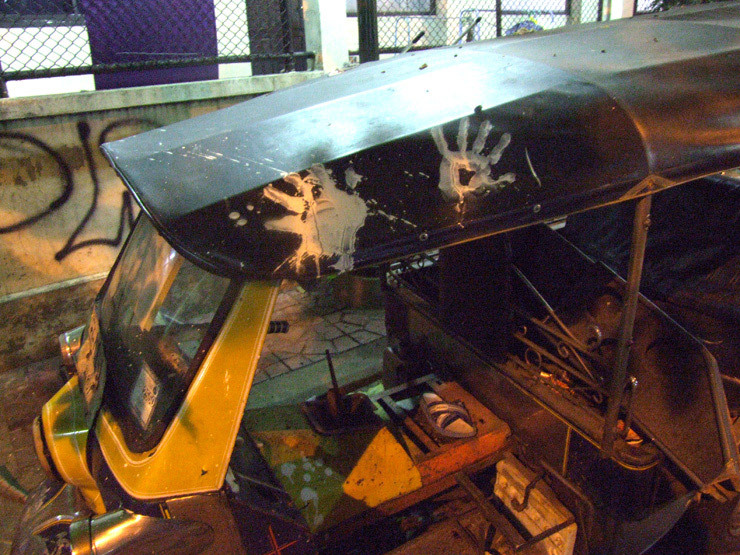 In the more modern parts of Thailand ,for example the small Thai village of Bangkok, on its ten million inhabitants, the tradition is shadowed by the watery mayhem that can be only described as Songkran-gone-wild with water being celebrated as water and not as some philosophical religious semi-mystical blessing element of generations on generation. I have to say, it IS fun . I complain about it, I try to stock up on food and rarely leave the house that week, I scorn the people on the street waving water guns, but in the end it is fun being eight years old again, cringing as the cold water hits your spine sending you into a swift merciless shiver to the sounds of laughter, ducking as yet another hand full of talcum paste is being directed at you, avoiding it like an old kung fu master, jumping behind corners as a pickup truck full of H2O hooligans doing drive-by wettings of unsuspecting pedestrians goes by. 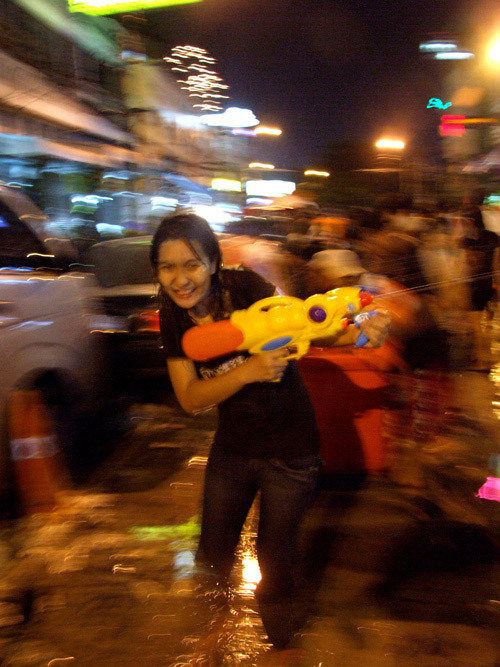 Songkran is a celebration if I have ever seen one. 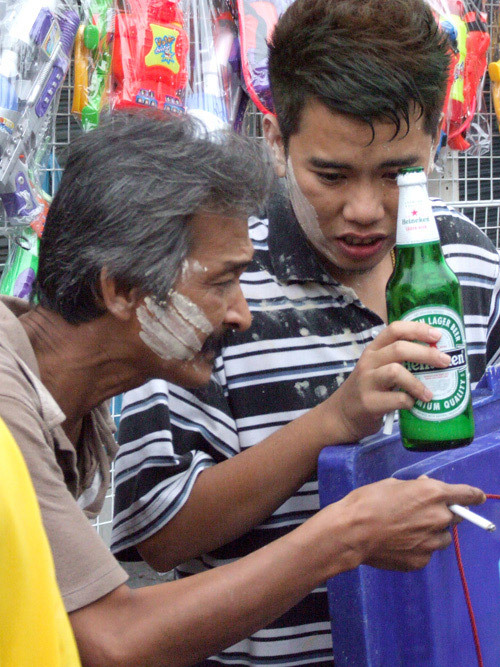 Unlike other places where new year is a day, or more importantly a night, in Thailand, as in Thailand , they manage to stretch it into a week, sometime two, if you are extra Thai , even more, with very long office holidays, a lot of homemade meals as in any other traditional society, and more important a lot of beer and Thai whisky. 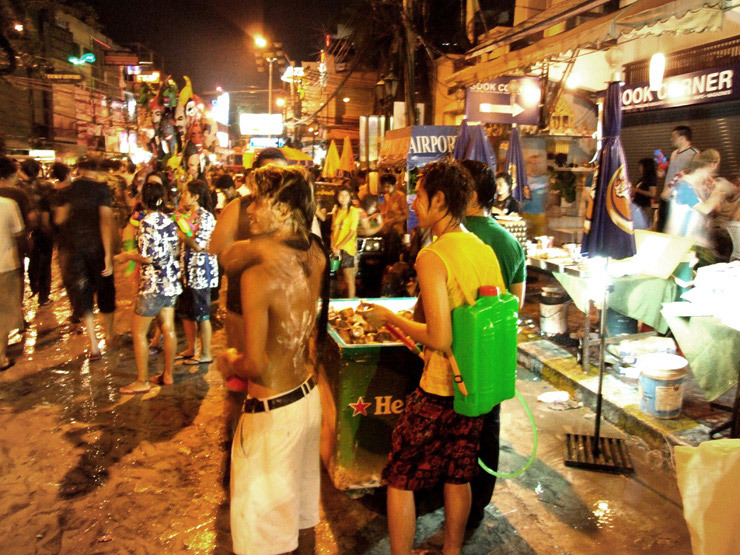 I don’t know how traditional it is, or maybe this is the new tradition we have been creating in this generation, but for a beginning of a new year, the combination of a very hot week, with very cold beer and a lot of waterguns and music on the streets? Not that bad. Hopefully the next generations will find some "hidden" symbolism in it.